It must have been nice. Sitting in his custom-built 88-foot yacht, with a bridge so high it required an elevator to access it, Bernie Madoff enjoyed fishing. When he wasn’t on water, however, he enjoyed fishing for something else; new investors needed to keep his business interests afloat. Once he got his hook in someone, it usually meant that unless they were lucky to get away early, their investments usually went belly up or got filleted by Bernie himself. This is because Bernie Madoff is the most recent famous person to get caught using a Ponzi scheme to get rich…and in his case, he milked investors and friends out of something like $50 billion in US money. The thing about a Ponzi scheme is that the biggest red flag about them is that at first, it’s just too good to be true. Positive returns in situations where other intelligent and credible investors break even or even take a loss. Even bigger returns in good times. Consistency. In some cases, positive investment returns that are so good, they double or triple the initial investment. Sounds like something you would want to get involved with, right? Sadly, Ponzi schemes never turn out well. Like Bernie Madoff’s scam, there are hundreds, maybe thousands of websites and small businesses that don’t really look to invest money from customers into things like stocks and securities. Instead, they’re like large carnivores like dinosaurs or great white sharks. Meaning; they have to keep moving and keep eating, or they die. See, the Ponzi scheme can also turn into a pyramid scheme pretty easily. The story is actually pretty simple: find someone to give you money. Then find someone else to give you some money. Take the money you get from person #2, and give it to person #1. Then, you have to start looking for a person #3…because #2 will probably be ready for some money pretty soon! A classic ‘pyramid scheme’ means that only ‘tier 1’ people get paid from ‘tier 2’ etc., meaning that for people to get paid they have to enlist others into the scheme. A Ponzi scheme usually doesn’t get that involved; it just tries to pay everyone. Either way, all of these types of situations only really end up falling apart. Sometimes the leader or leaders of the organization decide to vanish into thin air. Which I believe we hear most of the time and not strange about it. A lot of these online investment sites are basically Ponzi schemes. They try to confuse and impress people with talk of ‘trading bots’ or amazing stories of big money in foreign exchanges and startup companies. However, most of them are simply empty web pages. For a while, some of them even tried to sell investors the idea of creating a new sort of cryptocurrency or payment method. Some of these still exist, and most of them have these pseudo-corporate names like Standard Reserve, OSGold, EvoCash, INTGold, or V-Money. Now that it’s so easy to send payments to others online, it’s opened up a whole new world for scammers. Depending on what country they’re in, they may not even be breaking any laws. And what’s worse is that once your money turns into some sort of electronic currency…or if that money goes overseas, it’s usually hard to get that money back. We say all this to remind all of our readers to be extremely careful when looking online for investment opportunities. It (Ponzi Schemes) takes all of one day to buy a domain name, put up some fake stats on a slick-looking website, and start accepting payments in what is basically untraceable Bitcoin. Once that money goes out, it’s hard to get it back…and depending on the country, if that money was sent off as an ‘investment,’ the people you send it to might not even be liable for setting up the whole thing. If you really want to make money online, go to any website on the internet. ANY site. What do you see? Videos? Pictures? Articles? Yes, usually you get some of that. But what else do you see? Ads. And it’s these ads…and companies like Google and Amazon, those pay websites if people access their sites through ads posted in other places. The professional term for this is ‘Affiliate Marketing,’ and it’s really where the money is online. Don’t give your cash to scammers. If you want to make money online, do some work and build some pages people like…then make your money legitimately without being scammed or the other way round. I have listed out the benefits of Affiliate Marketing which I highly recommend you spend some time to read it. In layman terms, you build a niche website and using proper ways to bring in traffic.If your reader decided to trust you and decided to buy the products you recommended and you earn a commission, Simple as that. The potential is huge and the more traffic you able to attract the more you will gain. Although it sounds easy in affiliate marketing but you need a proper education to get started. Read here the platform I am using to build up my website from scratch. Do you have any experience in Ponzi Schemes? Do you have any thought that can share with us your opinion regarding this title? Last but not least if you find that this article beneficial to you, please do share to your network so that they are aware of it. Of course, if there is any question out of this topic please contact me and I am more than willing to help you out in guiding you to success in your online journey. A high yield investment program, according to Wikipedia, is a particular type of investment fraud. Basically, it just means paying old investors with ‘new money’ sucked out of newer initiates to the program. As soon as the program quits or slows down in acquiring new investors (or fresh meat) the system collapses in on itself. Most of these scams don’t last very long, and unsurprisingly usually emanate from offshore and international areas where it’s hard to track down either the perpetrators or the money. These are better known to some people as Ponzi Schemes or Pyramid Schemes, and most of these ‘investment opportunities’ are at least one of these things if not both of them. The first thing you need to look for when you think you may have come up with a Ponzi scheme is to find their claims about returns. For some reason, they’re almost always insanely, exceedingly high, like 1% per day or something insane like that. Just do the math for a second…1% per day is 365% per year, aka a tripling of the initial investment. This sort of thing almost never happens in real life. Unless your friend growing up was named Steve or Bill and started a computer company in Silicon Valley in the 80s…most people don’t get returns like this on their investments. The second thing worth looking at is that with such big returns, you might wonder why they’re needing new investors. If your money is tripling every year, you probably don’t want to screw anything about that formula up. And if gains were that good, you’d better believe that people would be actively looking to get their money involved in a project with those kinds of returns…not vice versa. Another pretty important thing to think about is that if a company was doing that well, they’d probably have a pretty well thought out plan when it comes to where the money goes and why. This sort of investment plan is called a prospectus, and basically, every legal investment and the financial instrument have one. The thing is, a lot of these websites literally only have a couple very vague paragraphs written about ‘Forex’ or ‘trading bots’ or Bitcoin fluctuations…and then usually on the same page ask for ‘investments’ of up to ten thousand dollars! As a writer, I love the idea of writers getting paid extremely well for writing a few murky paragraphs. However, all kidding aside, if you plan to invest with a company, check them out. Read everything there is to read about them, and hope that they have a really good plan for safeguarding and growing your money. Not having those sorts of things is a red flag for sure. Finally, there’s one other thing these scammers have up their sleeves; fake reviews. Some of the worst, scummiest websites around have ‘great reviews’ on other websites…because usually the same person or company that owns the investment website also owns the review website! Sometimes websites pay workers to simply bombard legitimate review sites with bogus reviews, making the legit reviews that tell the truth about the scam to look silly or at the minimum in the minority. Finally, a lot of these sites only last for a very short time; at some point, they just fold up and turn into ‘’404 Error’’ sites. Maybe if you’re lucky you might catch up with the former owner scuba diving in Thailand or something. Seriously, do yourself a favor and be careful when investing online! Don’t just give your money to anyone. Actually, don’t give your money to anyone at all. You know how the Internet really works, right? People visit websites because they like them. Because there are stories on them that they want to read, or videos on them they want to watch. What’s usually also on those websites are small advertisements. People aren’t annoyed by them as long as they’re not intrusive, and advertisements have been a part of society now for hundreds of years. Companies like Google and Amazon take care of their partners, and they actually pay pretty well when it comes to paying affiliates money if they make sales or get traffic from other websites. One, it doesn’t double or triple your initial investment in a week, like those scammer sites, claims to do. Two, it’s because becoming an efficient and money making affiliate marketer requires a fair amount of work. But if you can build up a site that people like, even if it’s just a small subset of the population of Earth, you can do well for yourself. Indeed you are able to build your legitimate income on your comfort zone as long as there is connection to wifi. What you need is right education and right platform that able to guide in reaching your goal. Read this #1 recommendation if you wanted to succeed in your online journey. I have never look back since thenI found this platform. Work and apply yourself, don’t give your money to scammers! What is your thought after reading this article? Do you experience in HYIP before Or anyone of your closed one being scammed by this High Yield Investment Program in their life? Feel free to share it with us and we would like to hear from you. Last but not least I would like to take this opportunity to thank you for spending the time read this and I really wish beneficial to you. Please share your social network so that they can benefits from it too. Do let me know if you need any help from me and I am more than willing help you out in your online journey. Together we make the internet scam free which I think is possible if everyone of is doing our part to warn each other. Unless you’ve been living in a cave, you’ve probably heard of WordPress. It’s a free software and it’s currently the most popular blogging platform in the world. There are 2 kinds of WordPress – WordPress.com and WordPress.org. The former is a self-hosted open source program so anyone can use it at no cost, while WordPress.org lets you create and customize your website but it does not host it on the Internet. But as mentioned, WordPress.org does not come with hosting, so to be able to get your website online, you’ll need a good hosting service. In fact, you should get the best WordPress hosting if you’re serious about your online venture. The answer to the question – What is the best WordPress hosting provider is not as simple as it seems. There are factors you need to consider in order to identify your best options. A lot of web hosting companies can provide you with WordPress hosting plans in various tiers like: Shared, VPS, Dedicated, as well as managed hosting. Since you are using the WordPress Platform, make sure to check only providers that actually specialize in hosting WordPress websites. Some may offer Optimized Hosting for WordPress, however, this is not always an indicator that they are the perfect choice for WP sites. Not all WordPress hosting companies are the same, and some may offer services that are perfect for small blogs but lacking for a business, and vice versa. This is without a doubt one of the most important factors you should look into. Can you call them up and get a real, live person if you have problems with your site? Will they be able to find out what’s wrong with your site and fix it quickly? Price is another crucial factor to consider before purchasing a WordPress hosting plan. However, it doesn’t mean you should go for the cheapest option. Compare features and prices, and if you get two almost similar options then give preference to the one with the lower priced plan to save yourself some money. The uptime and reliability of the hosting service can make a huge difference in the performance of your website. Many WordPress hosting providers claim to have an uptime of 99.9% but the only way you can verify this is to sign up for a free trial so you can gauge their performance. Website uptime is important for several reasons. If your website is always down, you will lose a lot of potential customers. Of course, a 100% uptime is not possible but if your site is down every week, then your search engine ranking will be affected and your customers may be discouraged from visiting your site altogether. The hosting control panel should be user-friendly and intuitive. It doesn’t matter if it’s a cPanel or other custom panels, as long as it is fully functional and easy to use. Always check the Scalability of the hosting service and how much room is there for your website to grow in the near future. How many types of hosting plans do they have? Do they offer dedicated servers? Will their plans fit into your needs in the future? How easily can you change plans? Will it affect your website’s uptime? A lot of WordPress hosting companies have firewalls and other security features to ensure the security of your website. It’s vital to protect your website and added security features are really worth investing in. You should pick a hosting company that offers daily backups for the servers because your data is very important and there’s a risk od accidentally deleting them. One of the key indicators of how good a WP hosting service is, is by reading customer reviews. Can you find positive testimonials from actual customers? Find out as much information as you can about the hosting company’s reputation, to avoid any disappointments and regrets later on. Bluehost – Ranked No 4. You get optimized hosting for WP plans and these plans boast of extreme speed, enhanced cPanel, SiteLock Security, Auto install WordPress, Automatic Backups, Advanced CDN, SiteLock WAF, and dynamic upgrades. HostGator – Ranked No 3. This company offers a Managed WordPress Cloud Hosting plan. You will get Supercharged Speed, Easy to Use managed WordPress platform, an easy to navigate Control Panel designed for WordPress, automatic backups & restores, Seamless Scalability, Advanced Security, Customer Support as well as free migration service. SiteGround – Ranked No 2. This provider offers Premium WordPress hosting and their plan features include fast speed, excellent security, Free Domain, 1-Click WordPress Installation, Unlimited Traffic & Emails, WordPress Support, Free Daily Backup, Multi-Location & CDN, free migration of existing accounts, and WordPress Staging among others. SiteRubix – Ranked No 1. This hosting service is part of Wealthy Affiliate’s complete line of products and services designed to suit the needs of online businesses of any size. WordPress sites hosted on SiteRubix are protected by the latest and most secure servers available, and page load times are really fast (1.3 seconds average speed). Their hosting plans feature double hosting to boost uptime, daily backups, several layers of security, 25 free domains, 25 free websites, instant DNS setup, 500k visitors per month, unlimited email accounts and a host of other features. So..what is the best WordPress hosting? After careful consideration of all the above factors and looking at the top choices, I can confidently conclude that Wealthy Affiliate’s SiteRubix is your best option. You get a complete package for just $49 per month – that includes a site builder, a robust hosting platform and even 1 on 1 mentorship to boost your online success. What more can you ask for? So Which web hosting are you currently using? Feel free to share with us. Gone are the days when a business website was just an option. Today, you must have your own effective and efficient website if you want to make money online through affiliate marketing and I can strongly attest for its crucial importance in your journey to success. It’s important to look at the pros and cons of the web hosting providers since your choice will have a significant impact on your success, too. Before we look at the best web hosting service for affiliate marketers, let’s first take a look at the attributes you must look for in it. You will be able to make smart comparisons between several web hosting services and, thus, make an informed decision. Look for a hosting service with reliable uptime and redundancy of at least 99%. Your customers will appreciate the fast load times whenever they type in your site’s URL. You must also ask about multiple backup locations, known as mirrored services, as a preventive measure against server outages. Ask about the accessibility to the server. You should be able to make changes to your website, such as creating new email accounts and changing the server settings. You may also want access to checking your email even when you’re away from your computer. Consider the blog compatibility of your hosted website. You will find that a blog is a must-have addition to your arsenal of affiliate marketing tools. You may not have a blog now but you must ensure that the web hosting service provides blog compatibility, when you choose to have it later. Ensure that the web hosting service provides sufficient backup. You may accidentally delete all of your website’s blog directory, for example, but your provider will be able to resolve it. Your online content can be back online with just a few strokes, thanks to the host’s disaster recovery plan involving backups to backup. Find out about the ease with which you can park, so to speak, your other domain names. You needn’t purchase the other versions of your domain name to account for misspellings, for example. You will find it effective and efficient for brand management purposes to have all of your domain names in a single control panel. Consider the scalability of the hosting service. Your business will likely grow and your web hosting service should provide scalability in turn. You should be able to choose from several tiers of service according to the number of visitors each month, as well as the provider’s ability to effectively deal with unexpected spikes. Look for the type of support that you will require from the provider. You will obviously want a web hosting service with 24/7 support service via emails, chats, and telephone calls. Your provider should also be able to provide fast responses to your issues. Be aware of the added costs that come with add-on features. But you shouldn’t immediately balk at the added costs since many of these add-on features will result in increased performance. You can get more value for your money from your website with many of the add-on features. Even before you have subscribed to the web hosting service, you must ask about its exit plan. You must read the fine print lest you find yourself encountering one challenge after another in moving your domain name away from the provider. You have to consider all of these factors before making your choice. You have to work toward getting a balance of all these aspects of a satisfactory to very satisfactory web hosting service. Your time, energy and effort spent on considering each one will ultimately be to your benefit. So what is the best web hosting for affiliate marketers? Wealthy Affiliate’s SiteRubix seems to be the best option for affiliate marketers. Upon closer inspection of its features and functions, you will find that it meets all of the above mentioned aspects of a satisfactory web hosting service. Setting up your website on Wealth Affiliate is fast, easy and convenient especially as you’re not required to possess coding skills. Furthermore, you are assured of fast, reliable and optimal uptimes with the average page load time at 1.3 seconds. Your website’s ranking can be better because of the fast site speed, one of the core points of efficiency in the SiteRubix’s platform. I must say that Wealth Affiliate’s guarantee of a load limiting process contributes to my own peace of mind in its uptime rate. Basically, the process monitors the websites and ensures their optimum operation. Also known as backups, you will love the double hosting feature wherein the web host service provides full redundancy for its clients. Even when your website crashes for one reason or another, you can rely on its “mirror” that can be instantly swapped in. Such a disaster recovery plan is among the best in the industry. Wealthy Affiliate makes backups on a daily basis of all of its websites on board. You have the peace of mind that your website will always be present, in a manner of speaking, even during a crash. You don’t want your website and/or blog to be hacked and compromised. Fortunately, Wealthy Affiliate implements several layers of security to prevent spamming and hacking, among other security threats. Read Our Review of This Most Recommended Web Hosting For Online Marketers Here. Best of all, you will get a one-on-one marketing mentorship! If you’re a newbie in the affiliate marketing industry, you will benefit from the program because of the valuable lessons you can learn. If you’re a veteran, you will also like it because of the new techniques and tools that you can also learn from your mentor. Get on the Wealthy Affiliate bandwagon if you want to boost of finding success through affiliate marketing. I can guarantee you that none of the others hosting company provides that what Wealthy’s Affiliate SiteRubix has offered thus far. If you have tried others service providers you will know what I’m saying. It’s kind of irritating! Believe it or not, I’m very happy using the current SiteRubix and never waste off my time to trying out others anymore. If you find this article make sense to you and wanted thanks me, Join me and you will get my personal support too. Let’s do it together and achieve your goal. But provided that how much desired you have in order to success. To be very frank here, to success online is not easy. But if you follow the right path and right journey with the right people plus with you own desired effort ultimately you will achieve what you want. It’s time for me to stop here. I believe reading this you will find out what is the best hosting suit you the most. Feel free to share with us what your current service providers you are using. Thank you for reading this and I wish you all the best in your online journey. Cheers. How To Choose The Right Domain Name For A Blog? With thousands upon thousands of affiliate marketing websites, you may have some difficulty choosing a domain name for your blog. I was also in your shoes once, as a newbie affiliate marketer, and it took me a long time to decide on a domain name. Your first question then will likely be: “How to choose the right domain name for a blog?” You should give it careful thought especially since a blog’s domain name is very important for search engine optimization and branding. You must keep in mind that your blog’s domain name is your brand name and your identity so making the right choice is vital. Short, sweet and simple is the first rule in choosing domain names. This is because the longer a domain name is, the higher the risks for customers to misspell, mistype, and forget it – and you don’t want these things to happen! The fewer the characters in it, the easier it is to remember, type and say as well as share on social media platforms. But it’s not just the customers’ memory recall that you have to worry about. Long domain names tend to become compressed on search engines and shortened on social media sites. Your blog may not even show up fully on search engines or its URL gets cut off. Your domain name is part of your brand, a collection of your products and services’ distinctive identity in comparison with your competitors’ range. Your brand can include names, symbols, and designs found on your blog. Removes the impression of being generic. You should also avoid names that make your domain name sound strange. Hyphens, numbers, and symbols are a big no-no for this reason. You must also avoid generic keyword strings because these will not stand out in your target customers’ minds. For example, between “pasta-shop.com” and azpastashop.com”, your better choice is the second one because it’s neither generic nor strange. Tip: When your domain name has been registered, you should buy its various extensions including the misspelled versions. This will prevent your competitors from using versions of your main domain name, as well as ensure that traffic will be directed to your website even when Netizens mistype it. You may think that an easy-to-pronounce domain name isn’t necessary – your target customers will not be saying it many times, after all. But it matters due to processing fluency, a concept wherein humans have a natural cognitive bias for things that we can easily say and think about. The more pronounceable your domain name is, the more memorable it will be to your target customers. Again, you should avoid putting numbers, hyphens and symbols in it because it will be more difficult to pronounce. Let’s say that you found the best name for your domain since it meets the criteria mentioned here. But you mustn’t stop here because you have to comply with trademark and copyright laws. You must do your research about the availability of the domain name being considered. Your goal: Avoid infringing on another company’s existing copyright or trademark lest you find yourself in legal trouble. You may even want to consult your lawyer about it. It isn’t just the laws that will have an impact on choosing a domain name similar to another one. You will also be creating brand confusion – your target customers can easily be confused which brand is which. Your own affiliate sales can suffer in the process, no thanks to the loss of trust from your target customers and to their defection to your competitors. In the online universe, search engine optimization (SEO) is king! You must then master the basics of SEO so that your blog can be displayed on a search engine results’ first page for relevant keywords. You must also do your research about the reliable and relevant keywords that Google, Yahoo, and Bing use. Basically, you’re looking for a domain name with one or two keywords that can be easily associated with your business, as well as easy to remember, spell, and pronounce. You may also add your city or state name to the domain name, in case your blog targets a highly specific area. .com – The most recognized extension outside of the tech world so grab it, when possible. Ask a professional about it so that you can make the right decision. I suggest giving the matter of your domain name a few days of careful consideration before making your final choice. You’re establishing your brand amidst an ocean of competitors so the most memorable your domain name, the better. If you need help deciding which domain name to use, you can experiment with your options when you sign up for a comprehensive affiliate marketing training at Wealthy Affiliate. Just remember, however, that your success doesn’t just rest on your domain name. There are other things to consider including the performance of your site, the quality of your content and the kind of products you’re promoting. 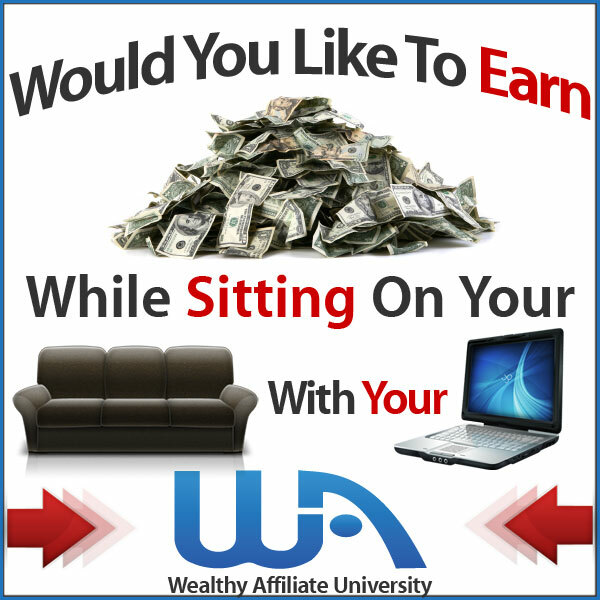 To know the basics of affiliate marketing, consider signing up for Wealthy Affiliate’s training program. What do you think of this article? I hope you find this useful for choosing a right domain for your online business. Last but not least do comment below if you have further thought of this topic. As someone who has been an affiliate marketer for many years, I have often been asked, “How much should a website cost you?” This is a valid question especially among novice affiliate marketers since many are actually starting their online ventures with little to no capital. You have to keep in mind that the final cost of a website will depend on your own needs and wants in it. Your website will be different from your fellow affiliate marketers – in fact, it should be different so that you can establish your brand – since there will be several differences, too. Your product and services, packages and prices, and personal preferences in a website will be different from your competitors. The bottom line: You should avoid making comparisons between the costs of your website with the costs of your competitors’ websites. You’re making an apples-and-oranges comparison. What are your goals for the website? You can combine several goals, such as increasing the website’s traffic, conversions, and retention. What is your target market? Your website’s design will be influenced by your target customers’ preferences, as well as your products’ core characteristics. What is your budget? You have to remember that your website costs will range from the actual design and development to the continuing maintenance costs (e.g., hosting). You must then consider how reasonable these costs are, especially when you’re on a tight budget. Every website will have its specific cost items but these are the factors that affect costs in general. The number of pages. The more pages in a website, the higher the cost. The complexity of design for each page. The more complex the design, the more coding required, the higher the bill, too. Content entry and migration. The more contents that must be entered into the website, the higher the cost, too. The amount of effort involved, whether manual or automatic migration, will also be considered. Integration with current software applications or client database. This is usually true in e-commerce websites, which will also jack up the cost. Custom features and functions. The features can include video players, photo galleries, online directories, e-commerce, and social media, which are incorporated via extensions, modules, and plug-ins. Keep in mind that a more creative your website, the more likely your cost can increase, especially in professional work. You have two main choices in website design and development. First, you can hire a professional website designer. But you will be spending more money on their professional services so if you’re working with a limited budget, this may not be an option. Second, you can use a website builder. Wealthy Affiliate has the SiteRubix platform which is a complete package already and it includes hosting, email accounts and even one on one mentorship. You can also purchase an individual domain from WA’s SiteDomains although 25 domains are included when you sign up for SiteRubix’s monthly plan. If you’re like many new affiliate marketers, you will likely not have the budget for professional website design and development. Your best choice is then the do-it-yourself website builders that, when done the right way, will provide similar benefits as the professionally-designed websites. #1 Ease of setting up your website. You don’t have to possess coding skills since the site already provides templates for the affiliate marketers to choose from. #2 Extensive choice in templates. You will find a few templates that will suit your vision of your website, whether it’s casual or formal in overall design. #3 Effective security. Your worries about security threats, such as hacking, are unfounded since the site monitors every website under its care 24/7 and eliminates threats even before these happen. #4 Fast platform that delivers on success. You have an effective and efficient tool that will push your affiliate marketing goals to the next level. The bottom line: You will find a great partner in Wealthy Affiliate from the creation of your website to the generation of revenues for your business. Premium Package, a package for people who are raring to get started on their success and are ready for it. The cost comes in at $49 a month. Regardless of your choice, you will find that your website becomes your best friend in promoting your affiliate marketing business! Your choice of website features will dictate how much you’ll need to spend initially. You can start with zero cost but if you want the best features for your website, you must be willing to spend a bit of money. Wealthy Affiliate’s program is a complete package and is really worth looking into if you want to become a serious affiliate marketer. Put yourself in your target customers’ shoes. Your website’s contents should be partly determined by their preferences so that they can become conversions, repeat visitors, and referrers. Place your affiliate links in areas where they are most likely to see and click on them. You can experiment with the placement, size, and colors of your links until you find the best one. Content is king. Your content should always be useful, relevant and actionable for your readers. In the end, your website is only a tool – it’s your job to use it in the best way possible to achieve success in affiliate marketing. I wish you all the best and hope this article help you in choosing A right platform in building your online business. Last but not least feel free to drop your thought below.